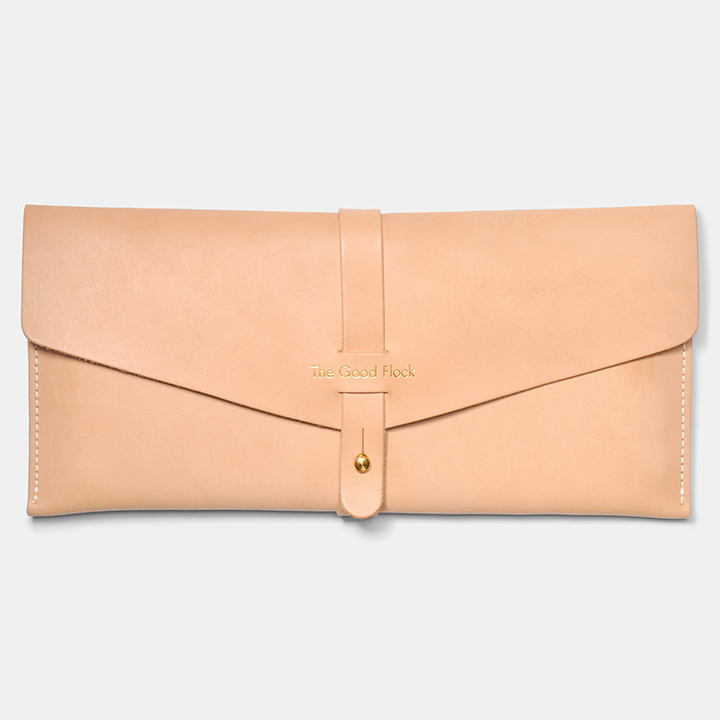 Travel Wallet by the Good Flock. Stow your travel trappings—like passports, boarding passes, and cash—in this vegetable-tanned leather pouch designed and made in Portland, Oregon. Peninsula Chair by Ben Klebba with Matt Pierce for Phloem Studio. Handcrafted in Portland, the Peninsula Chair—an homage to Klebba’s home state, Michigan, in name and in its honest construction—features a wood frame, leather seat, and brass details. Totem candles and Stick candleholders by Grain Design. The marble or ash candlesticks with graphite tops are made in the Pacific Northwest, as are the beeswax candles, which are hand-turned on a lathe. Cone stop by Studio Gorm. Debuted at Salone Satellite in April 2014, the conical wood doorstop from Eugene, Oregon–based Studio Gorm has a looped handle for hanging when not in use. Drawer Accessory System by Henrybuilt. Henrybuilt’s kitchen systems are fabricated in Seattle, including this organizer designed to work to keep utensils and accoutrements neat and tidy. Solstice Table Lamp by Ample. Seattle company Ample pairs a linen shade with a solid walnut base and fabric-wrapped cord. The lamp measures 22 inches tall and 15 inches wide. 100 Things Wallpaper by Makelike. Screen printed in Portland by a multi-disciplinary collective that specializes in graphic and pattern design and art direction. Tropical Tale by Miller Paint. Since opening in 1890, Miller Paint has operated out of the Pacific Northwest and has 50 stores in Oregon, Idaho, and Washington.